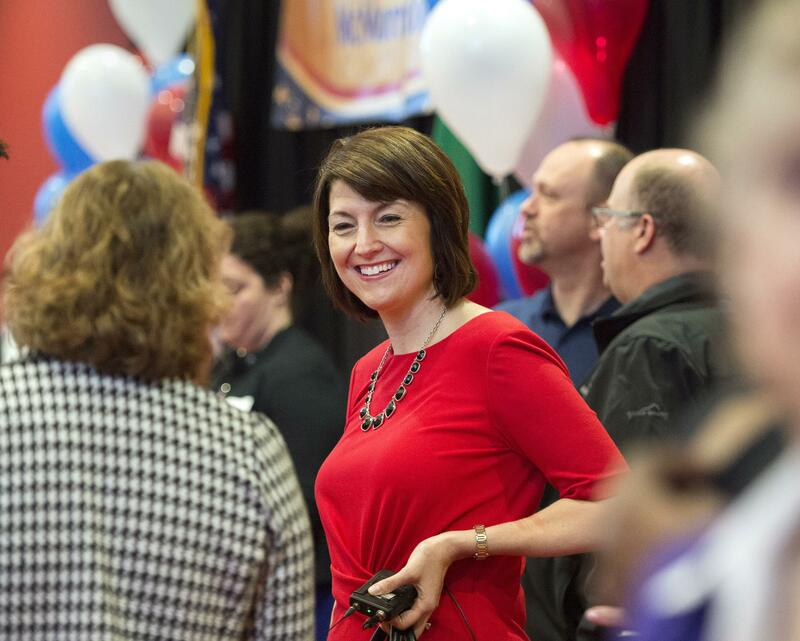 Tue., Sept. 13, 2016, 4:48 p.m.
It’s an election year, and so naturally Cathy McMorris Rodgers has been hitting the campaign trail. Increasingly, however, part of that trail runs outside the 5th Congressional District – through Seattle and Alabama and lucrative points between. And the campaign in question is not McMorris Rodgers’ race against Democrat Joe Pakootas but the push to raise money for fellow House Republicans, some of whom find themselves in a precarious position in this year of Trump. According to a recent report in Politico, McMorris Rodgers has raised $8.6 million in this election cycle, and passed on $3.2 million for fellow House members and candidates. In her fifth term in Congress, she now serves as chairwoman of the House Republican Conference. Her rise in the leadership ranks of the House means she’s a chief gatekeeper of a crucial Republican majority, at a time when the presidential race is putting unusual pressures on her team. She’s got more pull, a higher profile and she’s using it – which she acknowledged in a roundabout way. “I would say that through the years my network has grown,” she said Tuesday in an interview from Washington, D.C.
She represents the House majority, it sometimes seems, as much as she represents this region. And that majority, to my eyes, has made the House an increasingly strange home for a type of politics that aims to be a gear in the gridlock – a body that merely obstructs and proposes impossible bills. McMorris Rodgers argues that the chief problem is not a recalcitrant Congress, but an overreaching president, and she says that working on behalf of her party is not in conflict with representing people here. “We had a seven-week break, and I was home for a large majority of it,” she said, adding that the national fundraising was a minor part of her summer. “My priority is to be home, getting around the district” and meeting voters. She visited with fire officials in Spokane during the recent wildfires, in addition to other several local appearances, and she’s held “Conversation with Cathy” events around the district this summer. Obviously, keeping the House is seen as vital to the GOP if Clinton wins the presidency, but the divisive Trump candidacy is putting a different sort of pressure on close House races. McMorris Rodgers and others in Paul Ryan’s leadership team have been “crisscrossing the country in search of cash,” the Politico story said, trying to use that money to bolster the chances of some at-risk House members in the GOP’s 30-seat majority. There is nothing unusual about a politician raising money and spreading it around, when they’ve got the pull. In this case, the increased torque of McMorris Rodgers’ pull, in GOP circles of giving, is what’s new and noteworthy. There is, though, something exceedingly strange and damaging about House politics these days, and this strangeness is the castle that McMorris Rodgers defends. She helps lead a legislative body that achieves virtually nothing while engaging in continual conservative purity tests – that is notable almost entirely for staking out alternative political territory made up of the repeated passage of stunt legislation, meant to bolster conservative candidate resumes and obstruct the president. I asked McMorris Rodgers about political stasis in Congress, and my sense that a lot of the blame for it lay with her House. She said both parties deserve some blame, but the biggest problem lies with President Obama and his increasing reliance upon executive orders to bypass Congress. She also said she has attempted to take up a wide variety of issues important to Eastern Washington – from VA reform to firefighting budgets and wildland management to a proposal to limit autopilot reauthorizations of government spending. My critique of a do-nothing Congress, she said, overlooked some of the things Congress has done, passing significant education and transportation bills, and attempts she has made to cooperate with Democrats. She acknowledged that this “especially unusual political year” has influenced some of the down-ballot House races, but was not backing away from her endorsement of Donald Trump. If anything, her support Tuesday sounded stronger than her tepid statement in May. A team player, through and through. Published: Sept. 13, 2016, 4:48 p.m.